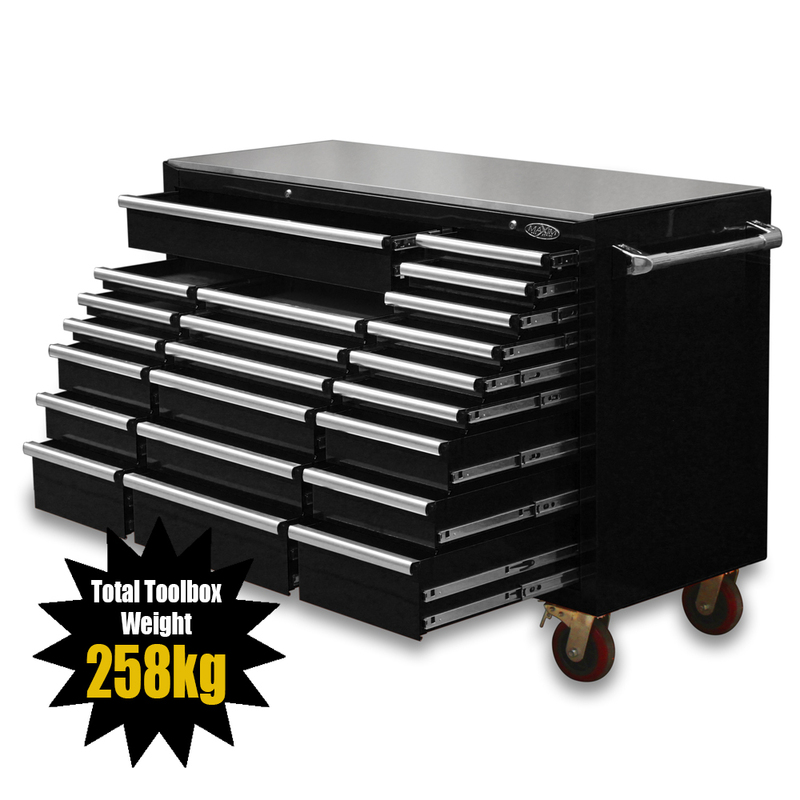 The New Design MAXIM 60 inch Black Roll Cabinet features 22 drawers, stainless steel top, weighs 235kg and is constructed with a twin steel wall outer shell. 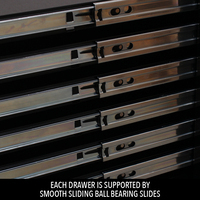 Five drawers have been upgraded to double ball bearing slides. ** BRAND NEW DESIGN ** We've taken the same "No Compromise" approach as per the rest of our range. In the USA, massive toolboxes of this size and of our large 60" range are common in many workshops. 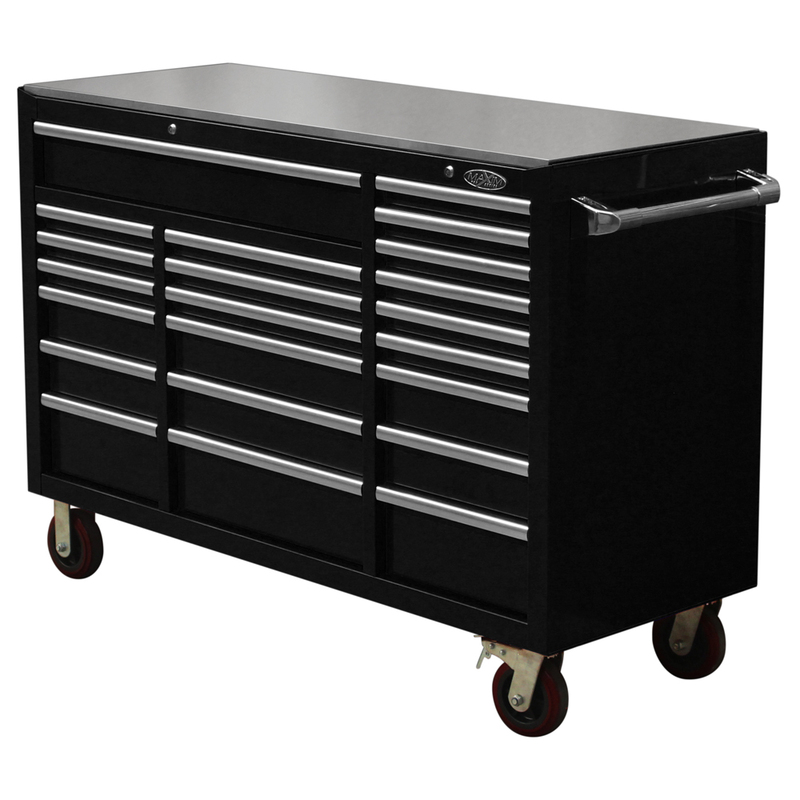 We have now made it possible for tradesmen, mechanics, car fanatics, automotive professionals and workshops to have one. Steel construction with a twin steel wall outer shell. Combination weighs 235kg. 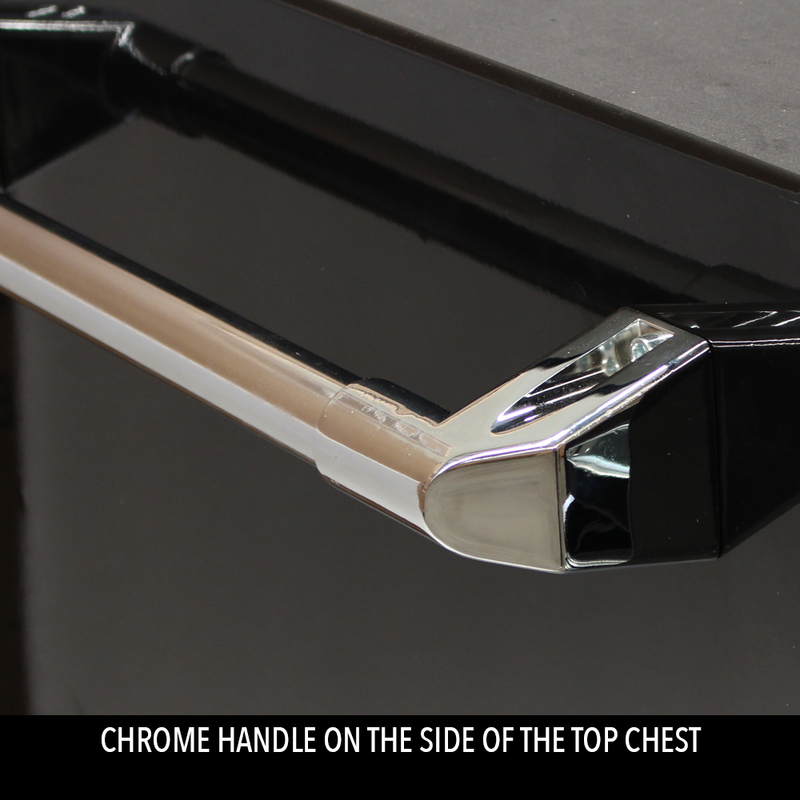 Coated with a rust and solvent resistant powder coat with a high gloss finish. All drawers feature the new LATCH LOCK system. 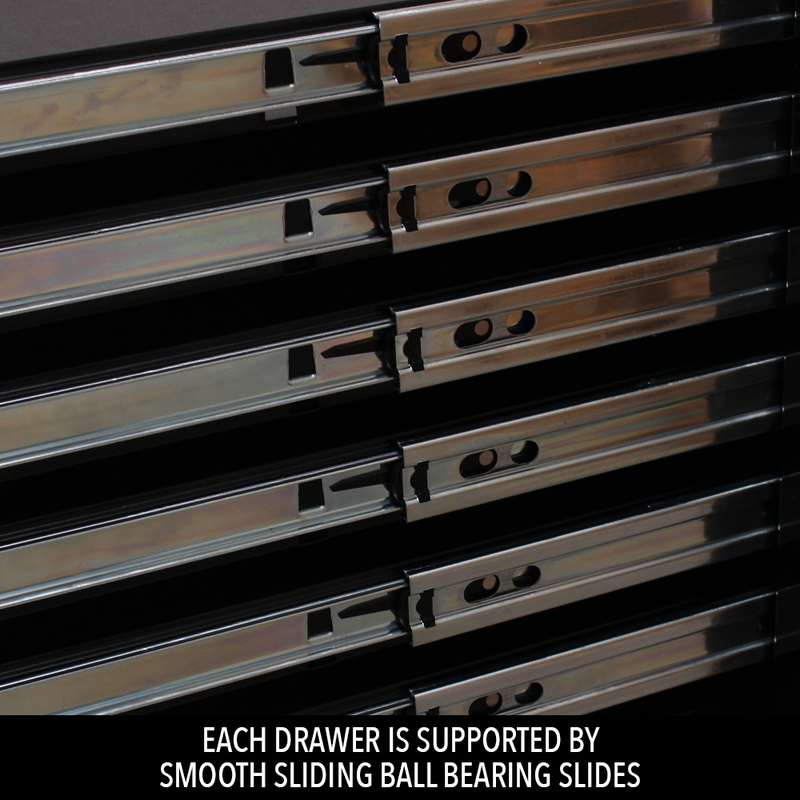 All drawers are supported by smooth sliding ball bearing slides. 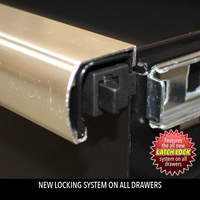 We've upgraded the 4 largest drawers to DUAL BALL BEARING SLIDES. Drawers are easily removed and refitted. 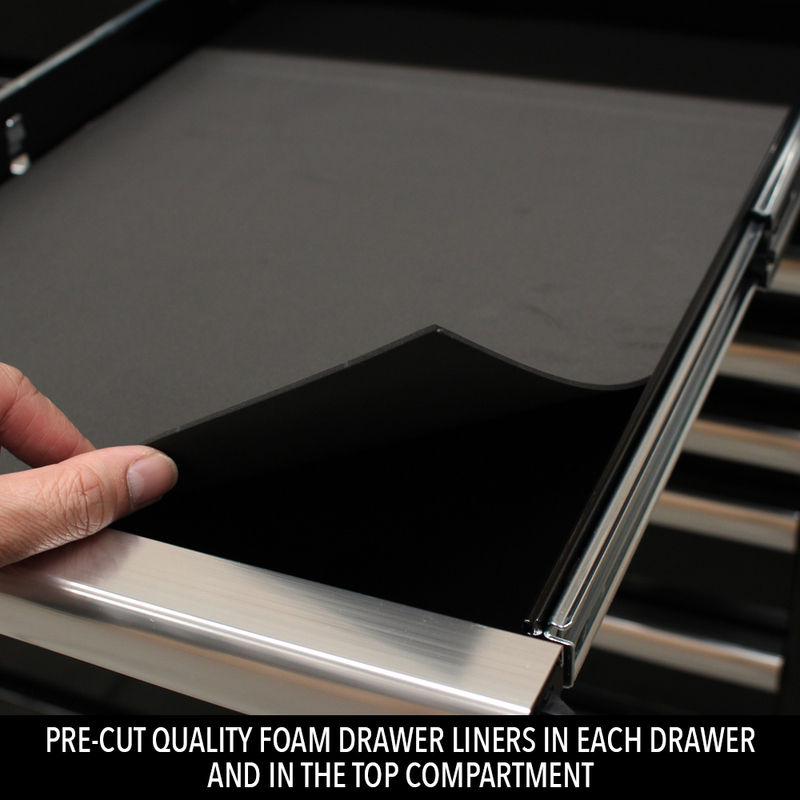 All drawers are lined with pre-cut quality foam drawer liners. Our 6" castors (wheels) are industrial quality and are 2" wide (rated at 900kg). There are 2 fixed castors and 2 swivel with brakes. 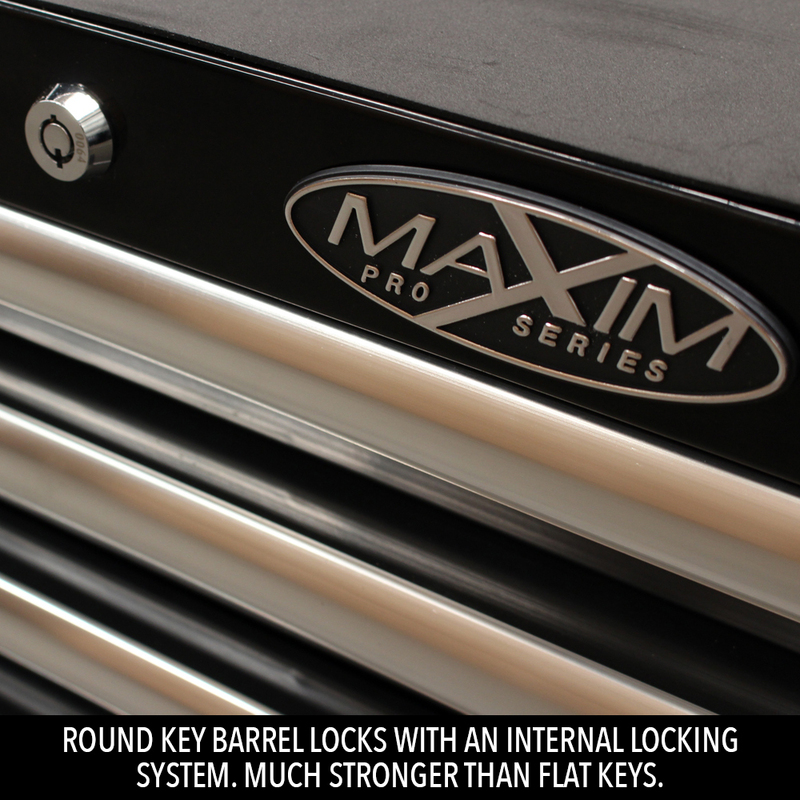 Round key barrel locks with an internal locking system. Round keys are much stronger than flat keys. Customers Note: Forklift Required for Sydney deliveries or you can pick up from our Penrith Warehouse. For interstate deliveries, a forklift is required to unload the courier's truck or alternatively, you can pick up from the courier's depot. DISCOUNT: Receive 5% off your order when you spend over $3,500. Receive 10% off your order when you spend over $10,000. We stand behind our products. 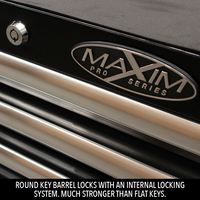 All Maxim Toolboxes carry a 2 YEAR WARRANTY on the structure; and a 1 YEAR WARRANTY on wheels, handles and slides. The warranty does not cover freight to or from our warehouse.